Scout Area Executive Homes a 3 storey townhouses with 4 bedrooms, 5 toilets and bath with 2 car park within each unit is place that is literally minutes away from work, school and leisure; a place that offers comfort and convenience usually available only in the suburbs and yet is at the very heart of the city. Most importantly is a place were a person can feel at east and at home. Schools, Colleges and Universities are also just within the area they are the Immaculate Concepcion Cathedral School, St. Paul University Quezon City, Philippine Science High School, UERM, Stella Maris College, Quezon City Science High School, Ateneo de Manila University, University of the Philippines and Miriam College are also just minutes away from the location. Speaking of location, Scout Area Executive Homes is located along Roces Avenue in Quezon City which is just a short ride to the business centers of Ortigas and Makati. Strategically located within the heart of the city, it is near malls, restaurants and other venues for entertainment. Premiere medical institutions such as the Capitol Medical Center, Philippine Orthopedic Center as well as St. Luke’s and Delos Santos hospitals are just a short distance away. 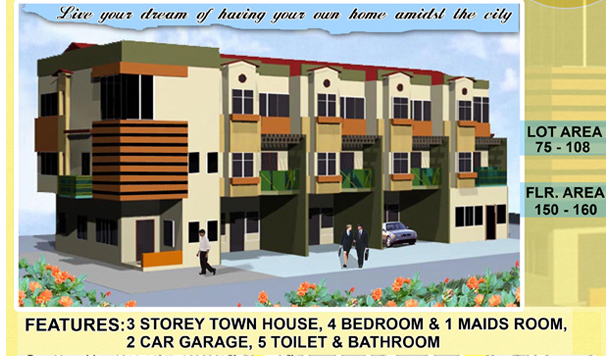 Thus living here caters all the necessary things needed to have a convenient and entertainment friendly lifestyle.